This year's lame duck session of Congress is turning into more of an excited goose, as both political parties have engaged in recent days in lively public negotiations over federal spending, unemployment benefits and nuclear weapons disarmament. But foremost on the agenda is the extension of the Bush-era tax cuts and Republican leaders appear to be successfully wielding leverage to have the cuts extended across the board, reports CBS News correspondent Nancy Cordes. 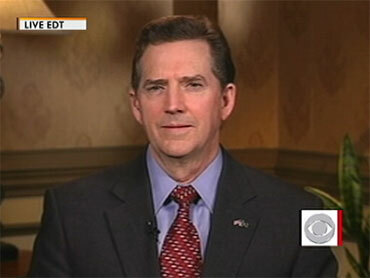 "It looks like the president has come around to the idea, with encouragement from other Democrats, that we can't raise taxes in a recession," said Republican South Carolina Senator Jim DeMint on the CBS' "Early Show" on Thursday. "I would prefer a permanent extension of the current tax rate. I suspect the president is going push for something more temporary." After meetings Wednesday between GOP leaders that many called civil and positive, Mr. Obama also voiced confidence that a compromise would be reached. "There are gonna be ups and downs to this process but I'm confident that we're gonna be able to get it done," Mr. Obama said. Democrats had been hoping to let the tax cuts for wealthy Americans - those making more than $200,000 individually and couples making more than $250,000 - to expire at the end of the year. "We are going to extend tax breaks to all; it's just a matter of how long those extensions will be," said Republican Senate Minority Leader Mitch McConnell. Republicans issued an ultimatum in a letter stating they would not let any legislation move forward before funding the federal government and extending the tax cuts, providing leverage over the Democrats whose lame-duck agenda also includes extending long-term unemployment benefits which lapsed for 800,000 jobless Americans this week. Republicans are insisting that the $65 billion benefits extension be paid for by cutting the budget elsewhere. Democrats say it's an emergency, exempt for the usual rules. "This is not a big new welfare program," said Ohio Democratic Senator Sherrod Brown. "This is extending employment benefits. I just don't get it. They'd rather do tax cuts for millionaires and billionaires." Amid the wrangling over tax cuts and spending, President Barack Obama's bipartisan National Commission on Fiscal Responsibility and Reform began seeking votes for plan to rein in the massive federal deficit. The commission made recommendations to add an average of 1,700 to the average American's tax bill, slash 200,000 federal jobs and raise the retirement age from 67 to 69 years old, Cordes reports. It remains doubtful the 18-member commission will get the necessary 14 votes to even bring their recommendations up for debate in the full Congress. Only seven panel members have indicated their support so far. The White House is also pushing the Senate to ratify the U.S.-Russia nuclear disarmament treaty, or START. Republicans have been repeating rumors that the State Department made a side deal with Russia to limit a proposed missile defense shield in Europe in exchange for signing START, a nuclear disarmament treaty. Even though the State Department came out yesterday to vigorously deny the claims, DeMint repeated them on "The Early Show" this morning. "Reports in the last couple of days suggest there have been side deals that would limit our missile defense capabilities," Sen. DeMint said. "My biggest concern about the START treaty is that it accepts parity with Russia and I think explicitly or implicitly limits our ability to develop missile defense which may be the most important of our defense system in the next ten years."